You’re ready to Make it Millikin. We’re ready to help you get here. We’re ready to welcome you. Are you ready to Make it Millikin? Our visitors aren’t visitors for long. Are you ready to Make it Millikin? Now is the time. Millikin is the place. Millikin is home to Performance Learning; an approach to education that begins in the classroom, moves to the field with real-life work experiences, and results in a prestigious degree and lifelong connection with our community of support and professional resources. It’s why Millikin has been named the top school in Illinois for moving students into jobs post-graduation, and why more students than ever before have applied for the fall semester. 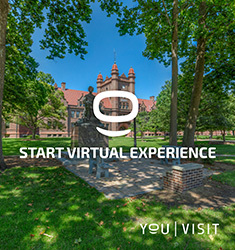 Come experience Millikin for yourself! Meet our passionate staff and faculty who come to work every day to see Millikin students succeed. Breathe in our vibrant campus that buzzes with Big Blue excitement. And feel the comradery of student peers, who are excited to work alongside you in collaborate, innovative ways. Enroll in one of our Campus Visit Days, or arrange an individual visit for you and your family. Take a virtual tour inside our classrooms, labs and workshops, performance spaces, and residence halls. 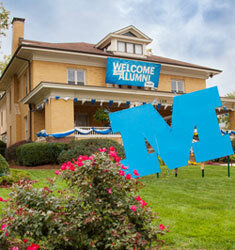 Millikin is ready to welcome you. Are you ready to Make it Millikin? Learn more about undergraduate programs, admission requirements, and financial aid opportunities. Read more about how to apply to Millikin, life on campus, and financial aid. Learn more about our graduate programs including MBA, MSN, DNP, FNP, and more. Discover Millikin’s many academic programs, campus life, and opportunities to explore career interests. Flexible Learning helps fit education into your schedule. Most classes take place online, during evenings and weekends. Millikin students have the opportunity to live and study all around the world in places such as London, China, Spain, Ireland, and many more for a few weeks or for a full semester. I had to learn development and how the children are going to act in the classroom, along with other things. Without that I would have never succeeded during my studies. I love smaller classrooms, and I love how much the football team and the faculty members want me to succeed – which drew me in to Millikin. One of the things I think Millikin does is push yourself to your limits and see where those limits are. Contact admissions, visit campus, or apply today and Make it Millikin! Missouri, Kansas, Kentucky, Tennessee, Florida, Georgia, Louisiana, Mississippi, Oklahoma, Texas, and Alabama Territories. Western Illinois, Southern Illinois, Arizona, California, Colorado, Connecticut, Iowa, Montana, New Hampshire, New Jersey, New York, Utah, Oregon, Rhode Island, Washington Territories. Northern Illinois, Wisconsin, Idaho, Maine, Maryland, Massachusetts, Minnesota, Nebraska, Nevada, North Dakota, South Dakota, Vermont, West Virginia, Wyoming. Below, you’ll find a timeline of important dates and info to keep you on track with the admission process. Each student is different, and we encourage you to contact the Office of Admission to talk about your next steps in becoming a Millikin student next fall. We’re here to help. The Millikin online application is free, and no essay is required. Apply online at millikin.edu/apply or by using the Common Application. We do not offer an early decision or early action option, but we encourage you to apply early as early applicants have the most opportunities for scholarships. Some academic programs have an early application deadline due to demand. File your 2019-2020 Free Application for Federal Student Aid (FAFSA) with Millikin’s school code: 001724. Submitting a FAFSA ensures that you’re considered for all financial aid opportunities, including institutional scholarships and all forms of federal and state aid. Visit millikin.edu/cost-aid for more information. 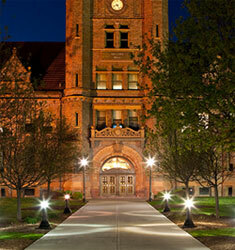 Once you've applied to MU and sent in all of the application requirements, we will begin reviewing your information. The Office of Admission will contact you, whether you've been admitted or not. Your estimated Financial Aid Award provides an initial summary of your federal, state, and institutional awards and offers an estimated cost of attendance for the academic year. These letters are sent on a rolling basis beginning in December, based on the date you're admitted to the college and submit a FAFSA. We'll update you when your award is finalized. For help understanding your award letter, visit the Student Account Assistance FAQs page. This is also the deadline to be considered for many of Millikin’s scholarship programs. Information about the programs can be found at millikin.edu/scholarships. The applications for each scholarship can be found on your student portal. Students who are chosen to interview for these programs will be invited to attend Scholarship Interview Day on Saturday, February 2, 2019. Students must be admitted to Millikin before they can apply for scholarships. College of Fine Arts scholarships are awarded on a rolling basis but you must complete your admission application and submit a portfolio or audition by this date. Scroll to the bottom of millikin.edu/apply to see if your programs has additional requirements. All students are required to complete a housing form, whether you plan to live on campus or commute form home. Room choices are based on date of deposit, so the sooner Millikin receives your deposit, the more housing options you will have. See floor plans and photos, and apply for housing—which is offered on a first-come, first-served basis—at millikin.edu/residence-life. After paying your advance tuition deposit, you should sign up for registration in order to register for classes, meet fellow classmates, familiarize yourself with campus, and connect with faculty and staff. You can review and finalize your schedule with an academic advisor. Visit millikin.edu/registration and login to your student portal to sign up today. In order to hold your spot at Millikin, you'll need to submit a $150 advance tuition deposit which is credited toward your tuition. Several academic programs are highly competitive, so you'll want to act quickly to secure a place in your chosen academic field of study. Deposits will be accepted after May 1, but are only refundable up to that date. Students should stay in touch with their Admission Representative to be sure they stay on track with all pre-enrollment activities. 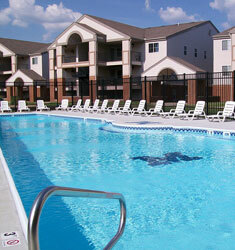 To receive a housing assignment, you must be admitted to the college and complete a housing application. Housing assignments are given out at Registration in June, and then sent out on a rolling basis, based on the date you are admitted and submit your housing application. Visit millikin.edu/accepted for more information. If you are currently enrolled in high school or at a college or university, you must submit official copies of your final transcripts to the Office of Admissions. Late transcripts can complicate registration, financial aid, and payment for your first semester. Visit millikin.edu/admissions for more information. To pay for education, many families use resources beyond the awards offered on the Financial Aid Award Letter. Learn more about these resources—such as loans and employment-sponsored tuition plans—and read about the various financial aid options at millikin.edu/financial-assistance. Students living on campus begin receiving roommate and room assignment notifications. If you’ve completed your housing application, you’ll receive information about your roommates and what to bring to campus. Visit millikin.edu/residence-life for more information. You must either pay in full or establish an automated payment plan for any portion of your bill not covered by secured financial aid by August 1. If you register for classes after this date, you’ll have seven calendar days to establish payment arrangements. Visit millikin.edu/payment-options for more information. 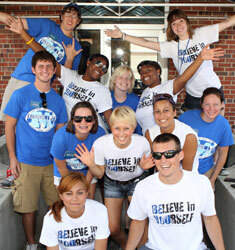 Welcome Week is where you'll be introduced to the Millikin experience. You'll learn about student organizations, studying abroad, internships, athletics, and many more programs and services that support your academic goals and personal development.